Almost as soon as I returned to my base after Shabbat we were told that we were going on another trip – educational, mind you – with the destination being a secret. I wasn’t feeling my best on the morning of the trip but I tagged along nonetheless and in the end was glad to have done so. Still not knowing where we were headed, I finally overheard my commanding officer ask the bus driver if he knew how to get to the Lehi Museum in Tel Aviv, somewhere I’ve been wanting to go for a while now. Whether the driver knew how to get there or not, approximately two hours later we were walking through the streets of Tel Aviv headed for the Lehi Museum, located in an obscure building in the Florentin neighbourhood. 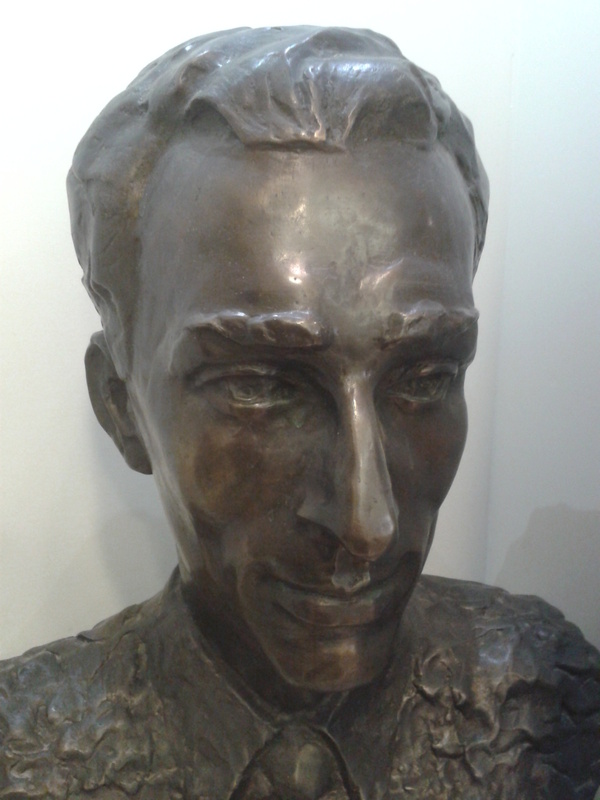 The fascinating part about the seemingly odd location of the museum is that it contains the apartment of Lehi’s founder and leader Avraham “Yair” Stern, his final home before he was murdered by undercover British policeman on February 12th 1942. 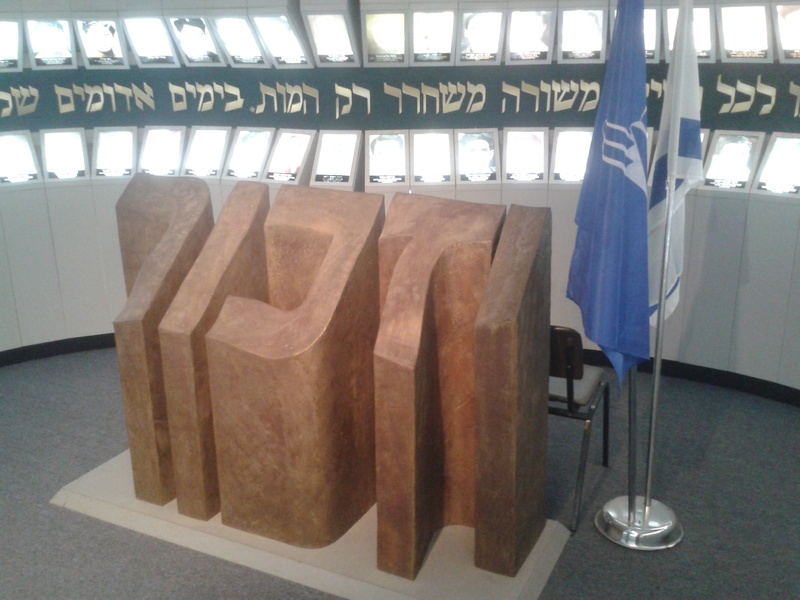 Stepping further back in time, Lehi was founded in 1940 as a resistance group against primarily the British Mandate government, which according to Lehi was the biggest hitch in the plans for a Jewish homeland. Far more radical than the other groups (such as Haganah and Etzel), Lehi was also known as the “Stern Gang” and carried out numerous attacks on both the British troops and international diplomats, earning themselves hefty bounties offered by the British government. At the museum I learned that, in the hands of the British, many of the captured members of Lehi were sent to various countries in Africa as expulsion, including Kenya and Sudan, once it became clear that local imprisonment wasn’t enough of a deterrent. One story that our guide told us was of two Lehi operatives who were captured and kept in a local prison. The two men decided that they would blow themselves up, along with as many British soldiers as possible, on the day of their execution. 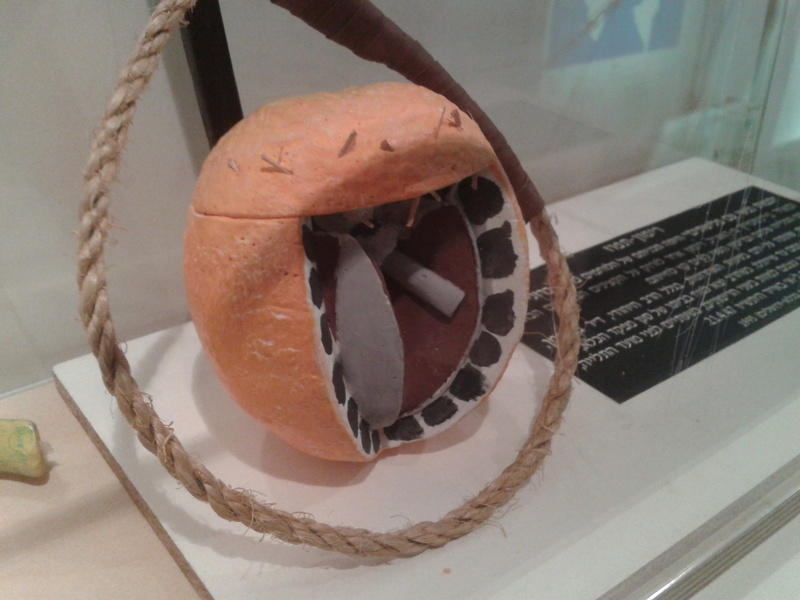 With copious amounts of ingenuity, they constructed a grenade inside of an orange, lining the inner walls of the peel with shrapnel. However, much to their dismay, a rabbi offered to be with them at the gallows so they had no choice but to scrap their plan lest they blow up the rabbi as well. So, the night before their would-be hanging, the two Lehi operatives stood together, orange grenade against their chests, and ended their lives. Just to firmly announce my beliefs – something I tend not to get into on this blog, I am fundamentally against the Olympics. I don’t agree with the whole idea, especially its Hellenistic founding, and I think that every time Israel participates in the modern Olympics the outcome is more bad than good (ie BBC scandal of 2012, Munich Massacre of 1972, etc). 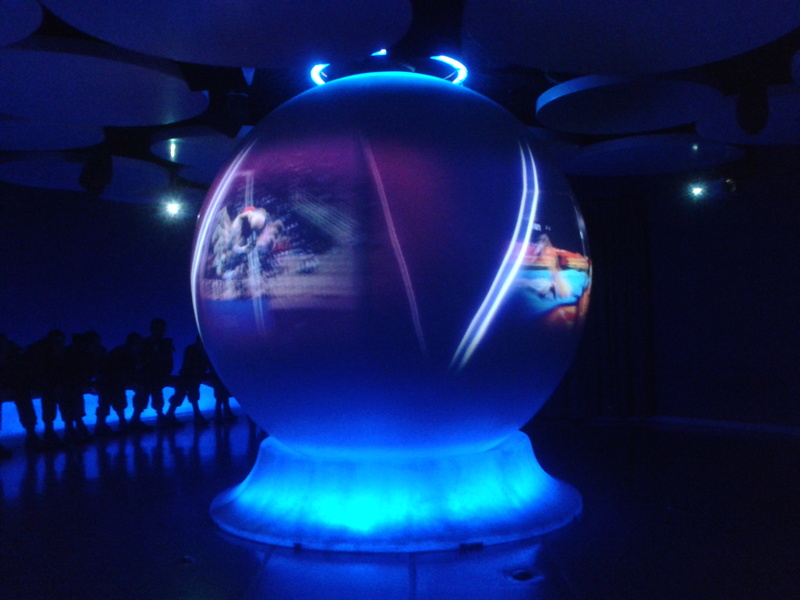 That being said, I still must hand it to the designers of The Olympic Experience for creating a very interesting showcase – particularly the audio-visual presentation, which is state-of-the-art. 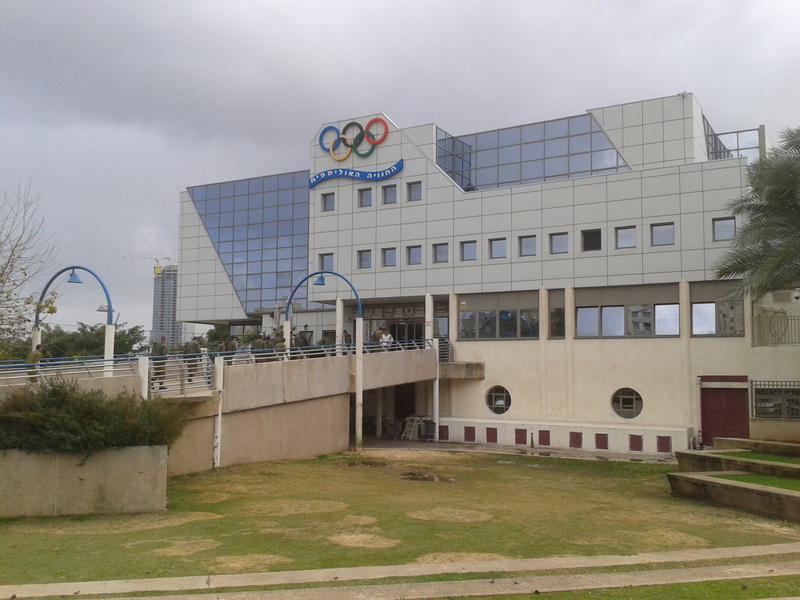 There were some notable parts, which I enjoyed, such as the video about the Munich Massacre which included an interview with Esther Roth-Shachamorov who was one of the female athletes representing Israel that year. 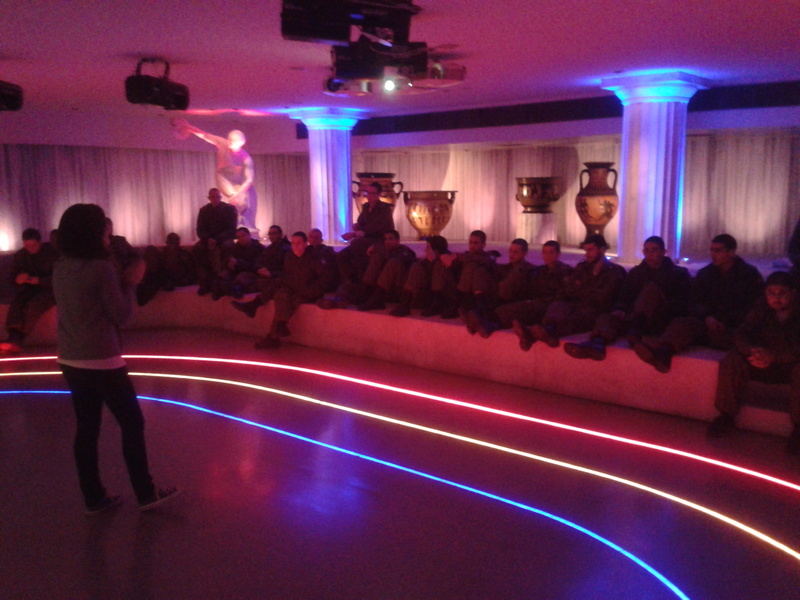 Our guides were quite enthusiastic about the Olympics and several of us tried the hands-on activities, as if to compare oneself to the physically prepared bodies of the athletes that participate in the Olympics. However, despite the glamour of the Olympics and the ultra-modern design of the “Experience”, the topic didn’t appeal to me much so I am at a loss as to what to write. If the Olympics does, in fact, interest you, then by all means, go check this place out. 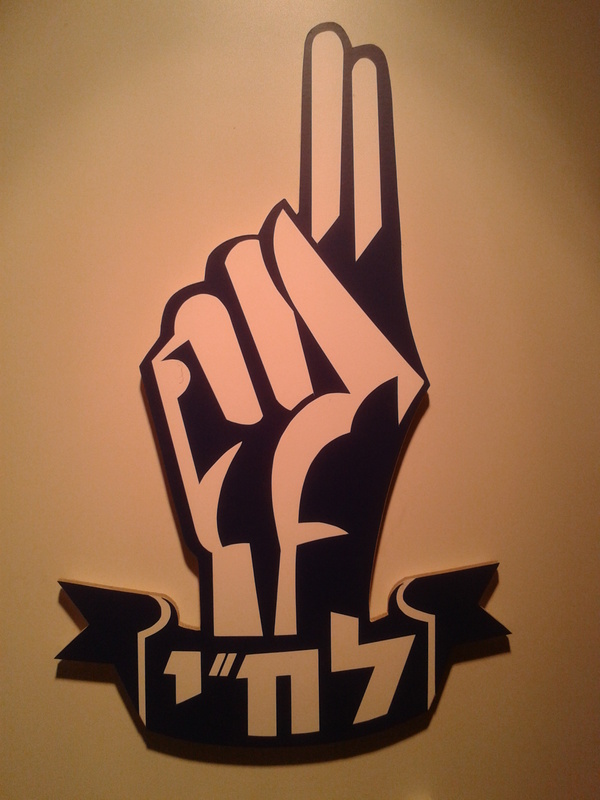 But if you share in my beliefs, perhaps you’d agree that the Lehi Museum was the highlight of the day. Until next trip (which at this rate may be this week)! This past week I was taken, quite unexpectedly, on yet another Army trip. 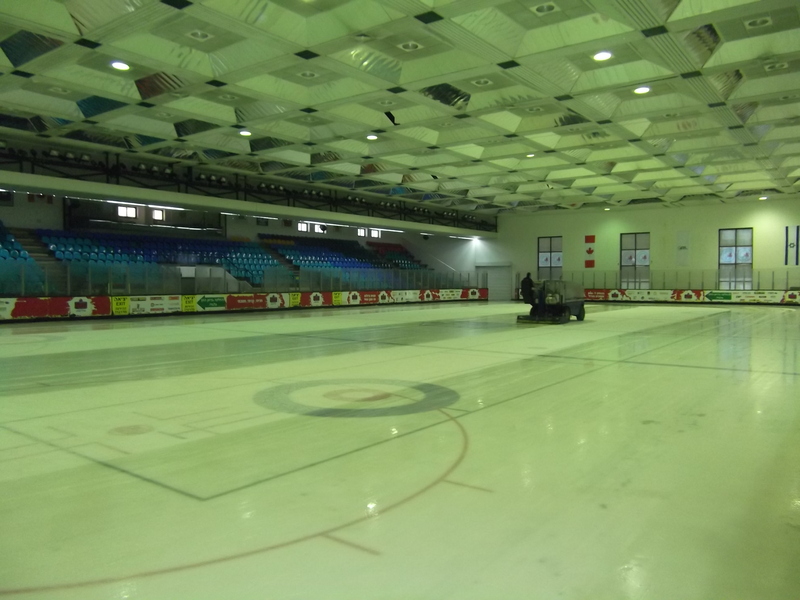 This adventure was to the oddly-named Canada Centre in Metula, a recreational centre most famous for its ice skating rink. 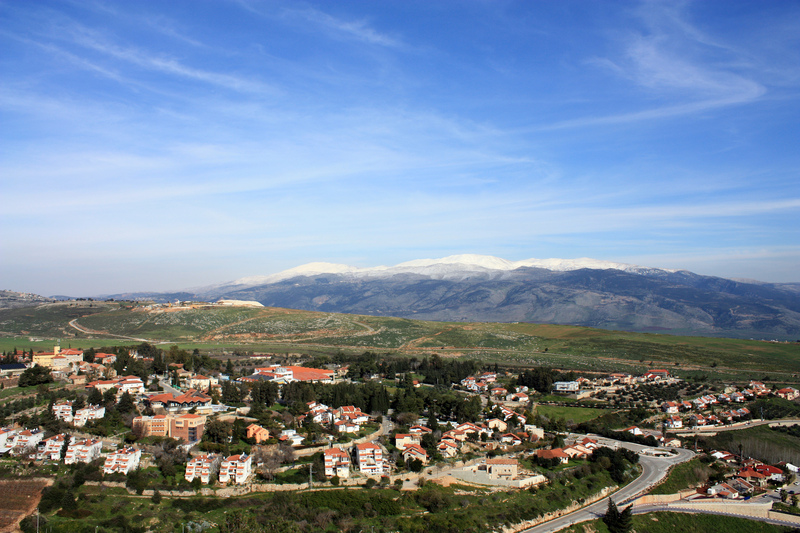 Being on the very border with Lebanon, near the now-closed border crossing “Good Fence”, Metula is the farthest north I have been yet – just a wee bit further north than the Nimrod Fortress. 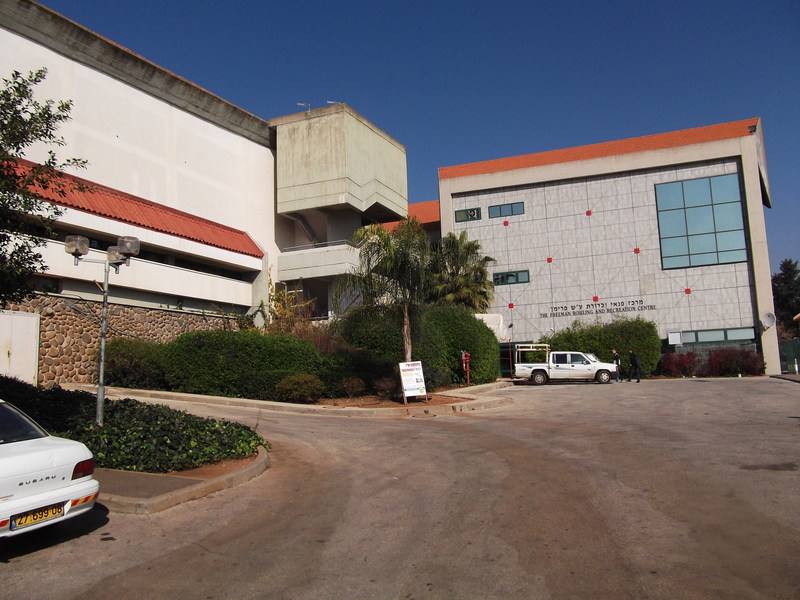 While everyone agrees that Metula is amazingly picturesque, we were mostly indoors enjoying the attractions at Canada Centre. As it was a large chunk of my base’s population all visiting the Canada Centre at once, we basically took the place over and had a great time doing so. For some reason, perhaps not to overwhelm the locals, we dressed in civilian clothing and only a handful of us brought guns. When we got inside, getting our hands stamped as we did, my two American friends and I embarked on a mission to find some food. We only found Pringles so we went swimming, and since I didn’t really want to go swimming I sat on the side and guarded my friends’ possessions. After swimming we had some Army lunch and then headed for the famous, Olympic-sized ice skating rink. As soon as I strapped on those beginner skates I was just itching to get on the ice. With probably close to ten years spanning the gap between my last ice skating experience and this one, I gingerly stepped onto the gleaming ice, my hand clutching the wood wall at my side. 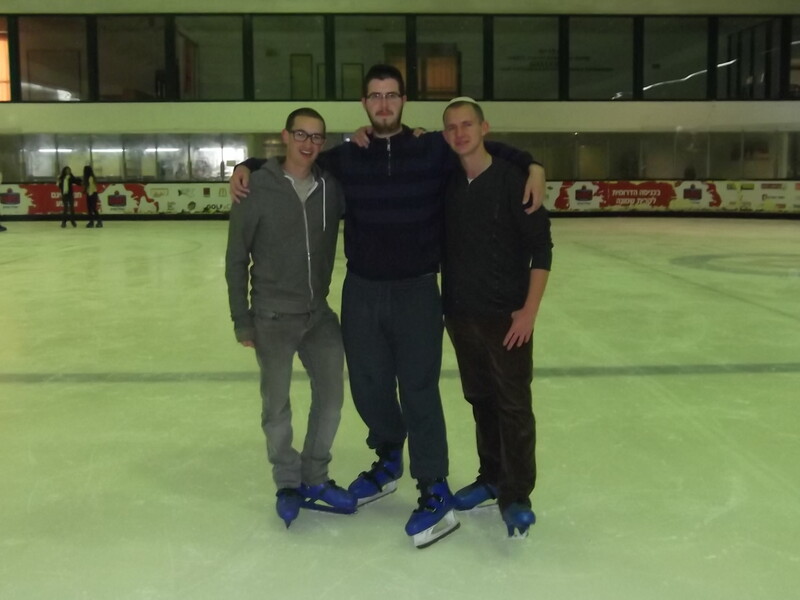 My two friends are, simply put, better ice skaters than me but after a few cautious loops around the rink I detached myself from the wall and began to make steady progress. I must say, having to help a Russian learn to ice skate makes for good jokes but there were some Bedouins who, despite being semi-nomadic herders, were surprisingly agile on the ice. Before long I was slicing through the hordes of people and, without falling even once the entire time, enjoyed a quick game of tag with my friends. After ice skating we were quickly ushered into a basketball court where a comedy troupe from the Army entertained us with jokes, skits and songs. Once that was done we were hustled back onto our Volvo tour buses and headed back to our base in the Haifa area. This has got to be one of the shortest blog posts I have written, especially within the last year, but despite the fact that all I really did of interest was skating, it was an army trip and it was a great time. Until the next sporadic trip!